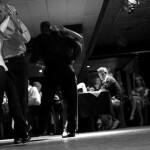 A recently published guide for tango teachers, advanced tango dancers as well as tango beginners gives a broad overview over the basic techniques, dance steps and styles of tango. With over hundred illustrations the book gives a great introduction to dance techniques, tango figures and tango movements. It is useful for everyone who wants to internalize tango steps and tango styles by himself/herself. The author of the book, Karo Pizzo, is tango teacher, choreographer and professional tango dancer. She performs on the stages and milongas of the most important international tango festivals and tango events in Latin America as well as Europe. Her tango guide can be ordered in the internet on http://www.femeninastango.com.ar/comprar/. Excellent tango dresses and dance wear is characterized by its elegance giving freedom of movement and confidence at the same time. Dance dresses of the label UP-Tango underline the spirit and the typical movements of tango by its classy lines, the rhythm of color and the swinging cuts of the tango clothing. Designer Ute Prause puts value in the design of dance dresses that adapt to the figure of each individual tango dancer to give her self confidence and security but also to celebrate the elegance and freedom of tango. 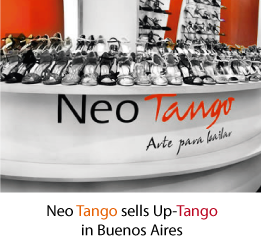 All styles of tango clothing, dance wear and dance dresses are available in the UP-Tango Online Shop.